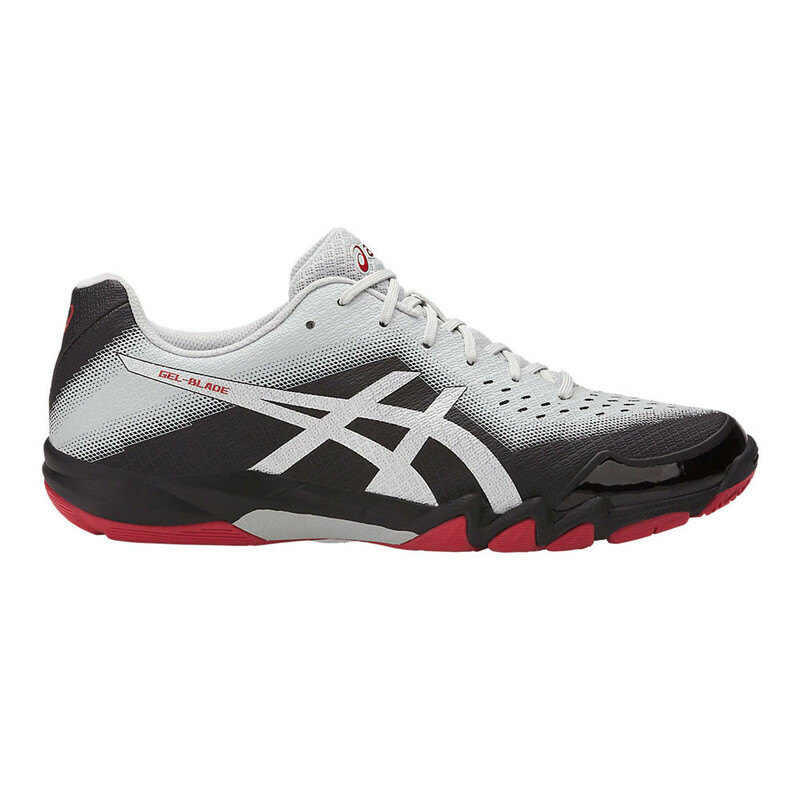 You need a range of skills on the squash court if you want to defeat your opponent; speed, agility and tactic come from within, but stability, grip and support come from your shoes. The GEL-BLADE 6 is a non-marking indoor court shoe for men, made for squash, badminton and other fast-paced court sports. "Great footwear at a great price." No-sew uppers will encase each foot in durable comfort. Perforations in the fabric increase airflow to create a better, healthier environment for your feet to thrive in. The no-sew construction produces an irritation-free fit, reducing bulk, layers and weight, as well as the risk of rubbing and blisters; because we know how those can ruin your day. The asymmetrical lacing system works to deliver an anatomically correct fit, whilst reducing the potential for discomfort caused by lace pressure. Two layers of memory foam line the collar and mould to the athlete's foot to create a Personalised Heel Fit, adding soft support and custom comfort. The PGUARD, a reinforced rubber/resin compound, wraps the medial forefoot for enhanced durability and protection against drag. A moulded EVA sockliner exists as an extra layer of plush, step-in comfort. 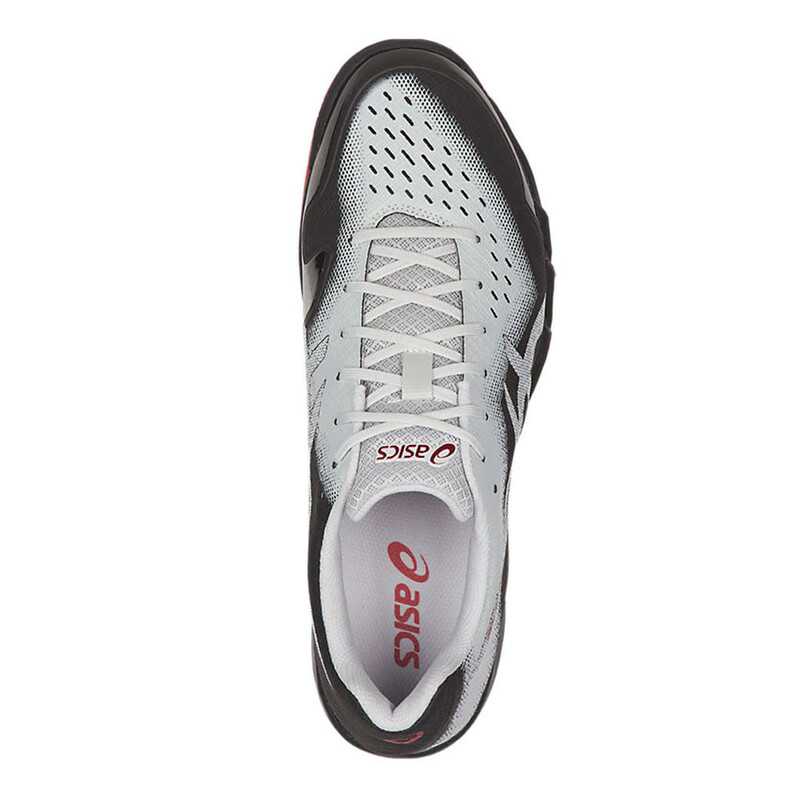 SpEVA resides in the midsole to supply lightweight cushioning. 20% more responsive than standard EVA, the rubber/foam compound boasts extreme resilience whilst it infuses every stride with the kind of power you need for a zealous game. 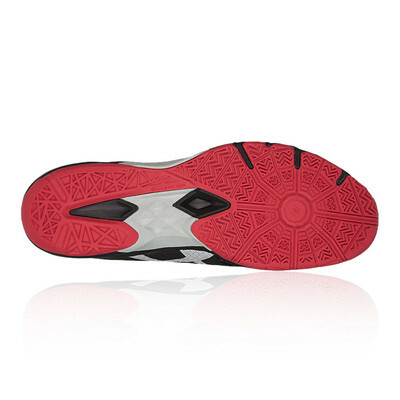 Embedded within the midsole platform are the Rearfoot and Forefoot GEL Cushioning Systems. 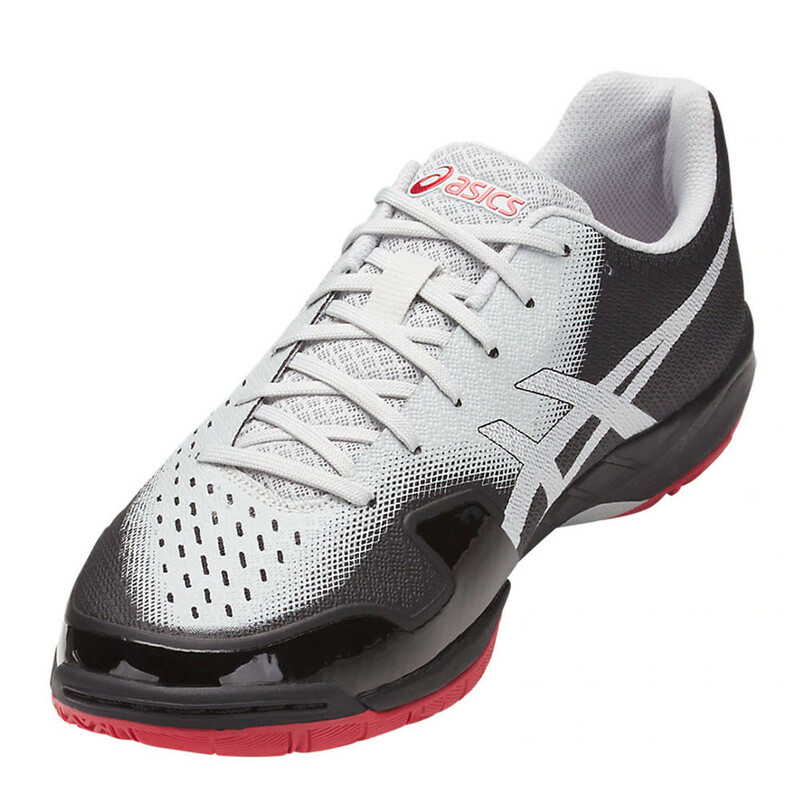 The silicone-like material effectively absorbs shock and protects your feet from high-impact strikes, sparing your joints as you leap and land onto hard, unforgiving court surfaces. A Trusstic System stretches out under the arch to increase stability; it reinforces the middle part of the sole, stopping it from twisting excessively and therefore diminishing the risk of the inward/outward rolling that might cause injury - perfect for those sharp, sideways movements. 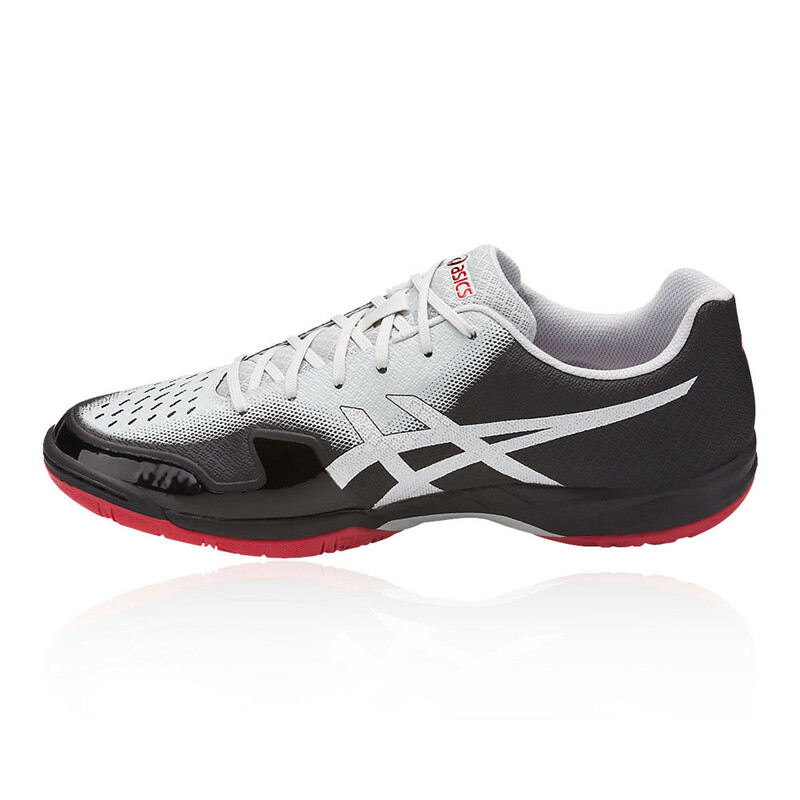 AHAR+ covers the heel; 50% more durable than standard ASICS High Abrasion Rubber, it offers non-marking, multi-directional grip across every court. NC Rubber adorns the forefoot; it contains more natural rubber content than traditional solid rubber and this results in enhanced traction on court systems. Removable Sockliner - Moulds to the shape of the foot and can be removed to accommodate a medical orthotic. 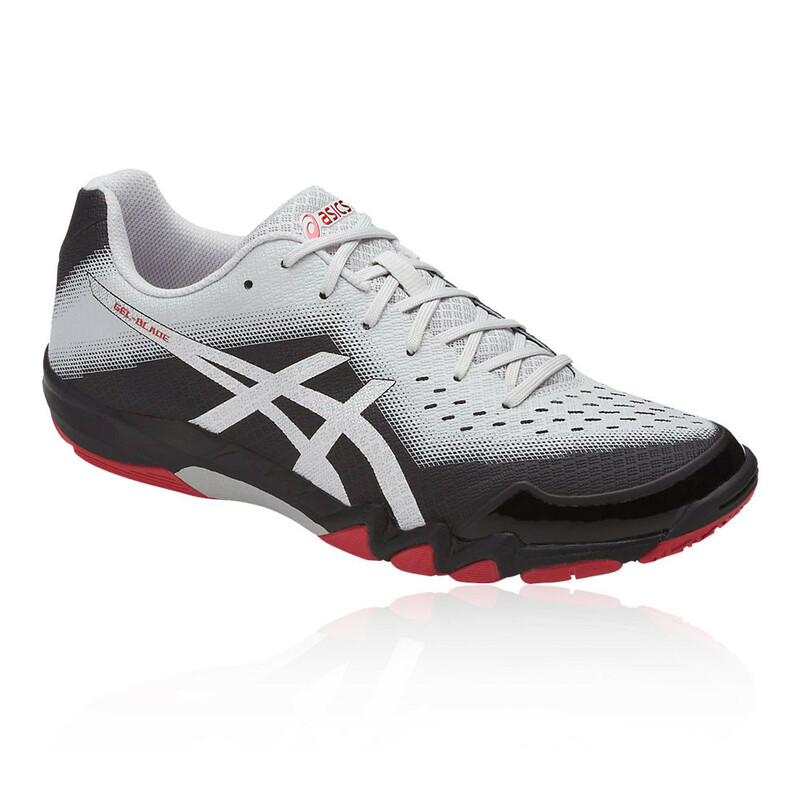 Rearfoot and Forefoot Gel Cushioning Systems - Attenuate shock during impact and toe-off phases. Trusstic System - Reduces the weight of the sole unit whilst retaining the structural integrity of the shoe. 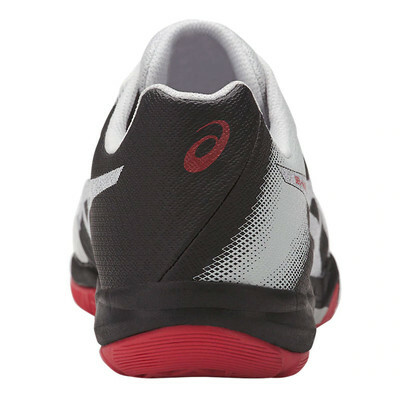 NC Rubber - Enhanced traction on court systems.